Apparently Barq’s Root Beer has been around since 1898 but I think that is a typo because It was 1998 (or around that time) before anyone had ever heard of them. However, when they did decide to get noticed (again supposedly 100 years after they went into business) they did it with a bang! Pardon me, with a Bite! Barq’s put together a string of weird but funny commercials which seemed to be capitalizing on the growing popularity of alternative comedy. 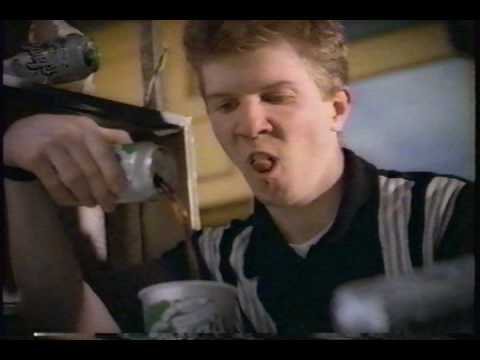 That is fitting because a couple of these commercials feature alternative comic Nick Swardson. Now lets go back and relive the short era when Barq’s took a bite out of crime…or maybe that was McGruff the Crime Dog…Either way, Enjoy! 50 new: script engine support now sites with accounts only. The name of your brand is promoted through creating your own wiki. l – OW Out Bound links rate. Ellen used to drink these in the clubs.